Bringing you the latest on everything Ashley Greene. New Ashley Greene Photoshoot by John Russo! Pics + Zip under the cut..
More Videos under the cut..
Ashley was among the attendees at the Ella Moss 10 Year Anniversary Celebration at Eveleigh in West Hollywood on Thursday night (July 28). Ashley was photographed running more shopping errands in Beverly Hills, LA today (July 28). She was previously spotted leaving her gym and stopping at Naked Baby boutique earlier in the day. Ashley was spotted leaving her gym before making a quick shopping stop at Naked Baby boutique in Los Angeles, CA today (July 28). Ashley Greene and Kellan Lutz to share NYC apartment? They’re already vampire costars and BFFs. And now, Kellan Lutz and Ashley Greene may be moving in together! The Twilight hunk tells me that he’s considering splitting an apartment with his castmate so they can both be bicoastal. “I was talking to Ashley about maybe sharing a place out here in New York,” Kellan told me last night at DKNY’s Summer Sunglass Soiree in NYC. So would they be actual roommates and everything? “We’re never here at the same time but we both love New York. So we’d be rooommates without being roommates…more like housemates!” he explained. Check out the Breaking Dawn Poster from Comic Con in UHQ! And in case you missed it: We also previously posted a scan of a trading card featuring another new promo pic of Alice Cullen. Full poster under the cut..
Ashley was spotted leaving the gym earlier today, July 27, in Los Angeles, CA. New candids of Ashley leaving Madeo resturant in West Hollywood LA after celebrating her brother’s birthday (July 26). She was earlier photographed headig to, and leaving her gym. Joe Greene’s girlfriend AmberBrink85 shared a pic of Ashley and friends celebrating his birthay yesterday night (July 26). Happy Birthday Joe! New candids of Ashley leaving her gym in LA (July 26). She was also photographed heading to the gym earlier in the day. Collider.com had the chance to sit down with Ashley at Comic Con for an Exclusive interview. They talked about being at Comic-Con, Bill Condon, her upcoming movies (Butter, LOL, and The Apparition), what kind of projects she’s looking to do next and more..
Click here for the audio or read the full transcript below! The line-up for the 36th annual Toronto International Film Festival was announced today and Ashley’s film Butter is among the official selections! Set in the highly competitive world of championship butter carving, Butter blends social commentary, outrageous comedy and heartfelt drama in telling the story of the ambitious Laura Pickler (Jennifer Garner), the self-anointed First Lady of Butter Carving. complicated when two unlikely contestants enter the race – one, her husband‟s hard-living mistress (Olivia Wilde ), and the other a 10-year-old foster child named Destiny (Yara Shahidi). Enlisting the help of her high school sweetheart, Boyd (Hugh Jackman), Laura will stop at nothing to be crowned champion, even if it means resorting to sabotage. Part political satire, part Capra-esque comedy, Butter is a story about what it means to win at all costs and against all odds. The festival takes place from 8-18 of September. More tweets under the cut.. Many new outtakes of Ashley Greene from her Women’s Health Photoshoot (July 2010) | Thanks to lionandlamblove.org! Fans at Comic Con got some exclusive Breaking Dawn trading cards featuring new promo pics of the cast as their respective characters. Thanks to Twilightpoison we have this HQ scan of Ashley Greene as Alice Cullen! 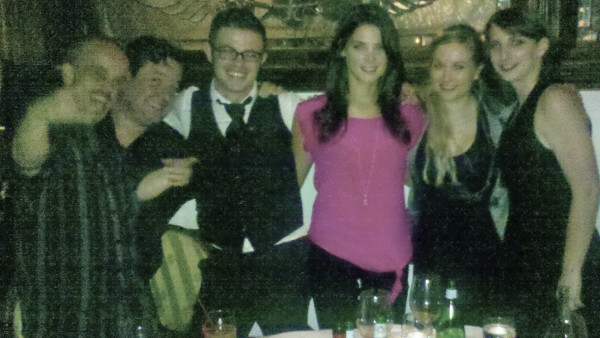 Another promo pic under the cut..
EW Comic-Con 2011 Star Portraits: Ashley Greene and Co.
1 More pic under the cut.. Many Videos under the cut..
Ashley Greene and co-stars talked to press at the first Breaking Dawn panel at Comic Con on Thursday (July). More Videos + Audio and Transcript under the cut..